Bender UK has successfully completed a project to assist the enhancement of the new maternity unit operating theatre at Colchester General Hospital - part of a £1.2m package of improvements. Bender supplied IPS, UPS, theatre control panels, Steris XLED theatre lighting and service pendants. On this project Bender worked with Colne Valley Building Services Ltd the main turnkey contractor appointed to fit out of the new operating theatre working to a very tight program, which stipulated minimal impact on the adjacent clinical areas that remained operational throughout the project. 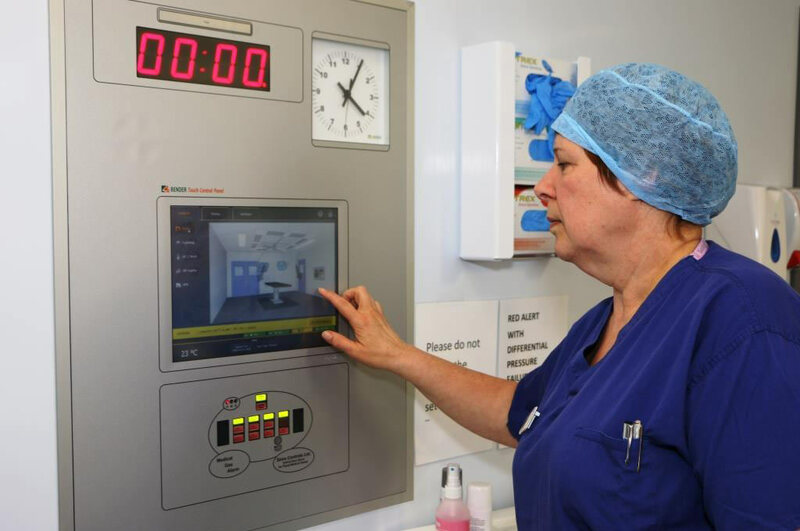 That included increasing the resilience and safety of the operating theatre’s electrical supply through the installation of ATICS - the only auto-changeover solution purpose-designed for medical applications. As the manufacturer of the surgeons’ panel which forms the ‘hub’ of the theatre, Bender project-managed the provision of operating theatre services. Interfaces within the surgeons’ panel such as surgical lighting and IPS UPS were already covered under the contract, and Bender’s project manager liaised closely with the project’s medical gas, ventilation and controls specialists to ensure the panel linked effectively with their systems. They also engaged with the clinical team for in-theatre trials of the proposed Steris XLED surgical lights. Colchester Hospital University NHS Foundation Trust provides healthcare services to around 370,000 people from Colchester and the surrounding area of north east Essex. Colchester General Hospital opened in 1984 and has 596 inpatient beds (general and anaesthetic), 44 maternity beds (including at Clacton and Harwich hospitals) and 12 critical care beds.